Good news for fans of grunge-punk grrrls L7 (still one of my top-five fave bands of all-time): The classic, chart-storming line-up is reuniting for a couple festival gigs this summer*, with “more shows to be announced” over the coming weeks. No word of a new album yet, but… fingers crossed! 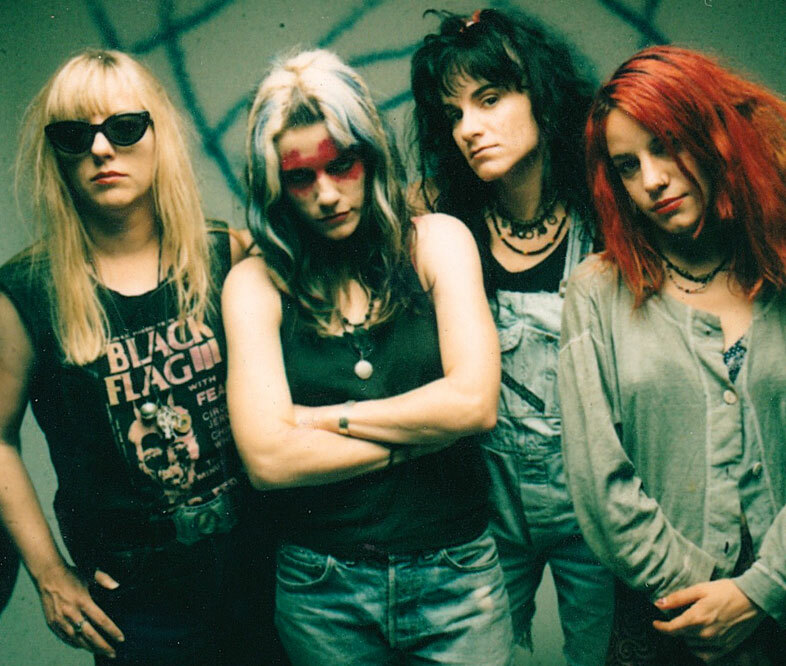 Meanwhile, there’s also a Kickstarter campaign for an upcoming documentary directed by Sarah Price, titled L7: Pretend We’re Dead, which will cover “the early days of the band’s formation in 1985 to their height as the ‘queens of grunge’… the film takes a roller coaster ride through L7’s triumphs and failures, providing never-before-discussed insight into the band’s eventual dissolution in 2001.” How awesome does that sound? Super-awesome! Aside from bashing out some great songs over the years, they also made for very entertaining interviewees, so the more footage we can preserve on DVD for future generations to enjoy, the better! This entry was posted in Rants about Films, Rants about Music and tagged Dee Plakas, Demetra Plakas, Donita Sparks, Jennifer Finch, L7, L7: Pretend We're Dead, Pretend We're Dead, Sarah Price, Suzi Gardner. Bookmark the permalink.